We first wrote an article about the PowerCordz cables and housings system HERE. That was almost two months ago. Today, we’d like to explain how to install the cables, definitely different from the steel ones. Where steel cables simply have to be crushed by the washer, the Cordz™ have two differents installations according to the application: brake or derailleur. Since the derailleurs pulling forces aren’t very high and doesn’t play the main role in safety, the derailleur Cordz simply have to be wrapped around the derailleur cable anchor bolt 180° then crushed thanks to the bolt via the washer. It’s advised to avoid repeated tightening at the same location because it would damage the Cordz™. So try to succeed at the first time! Brake cables are much more important than derailleur ones for a bike and play the biggest role in safety. 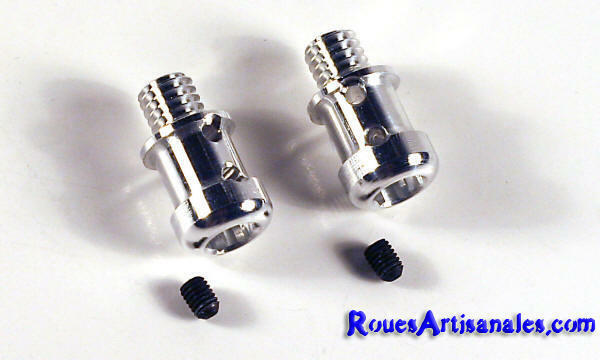 That’s why, Io DuPont llc created a special Shoulder Bolt Clasp for their product. 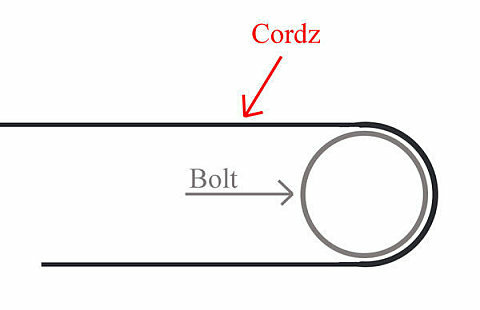 The whole procedure is explained on PowerCordz website and the story is about feeding the Cordz into the clasps through the holes so while braking it will always tight a bit more the cables. 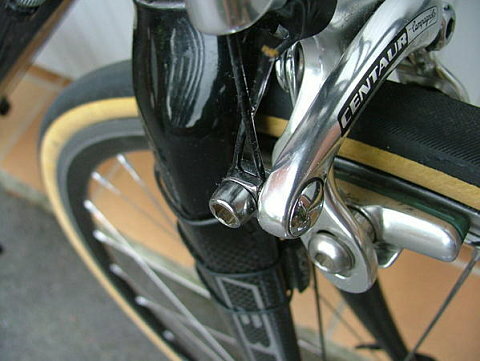 The Shoulder Bolt Clasp were only Shimano compatible when we got our testing Campagnolo Powercordz systems. That’s why we had to follow the derailleur procedure for the brakes too. The braking power and reliability is very good, just like any steel cables. 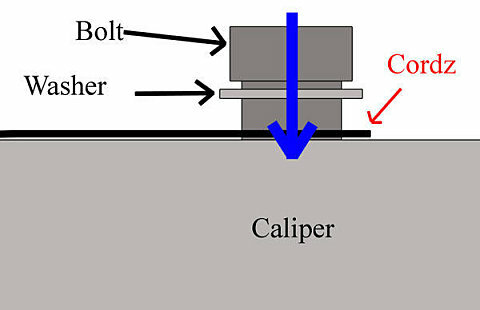 However, Io DuPont llc should release the Campagnolo compatible Shoulder Bolt Clasp and the Campagnolo brake cables very soon, so you will have to use the special procedure to be sure you won’t run into any safety problem using the system. So far, we could do thousands kilometers with this system and it works great, is smooth and is lighter than classic systems.